It’s that time of year once again with manager’s everywhere contemplating their next big signings. It’s commonplace nowadays for clubs to be looking for new players almost every season with very few afforded the luxury of maintaining the same squad from season to season. It has become a fact of life that, with so many clubs failing to stick around for very long with costs rising and lifestyles changing, that some players are finding better or cheaper things to do than have a game of football on a Sunday morning or Saturday afternoon. For the average grassroots footballer, with the cost of matches and training, they could be shelling out in excess of £300 for a season and that is without considering the inflated costs of big brand football boots and other training apparel. So how do you go about finding that next super striker or demon centre back? You cannot beat the good, old fashioned, tried and tested route of finding quality and reliable footballers through friends, family or colleagues of your existing players. What better advert for your club than through the players you already have. You can guarantee that they all have mates who play football somewhere, be that from work football teams, in 5-a-side leagues they are involved in or players they used to play with for Dog & Duck FC two or three years ago. These players often come with some form of guarantee in terms of reliability and ability as they are known to you in some capacity. The other route of finding new players, often a little hit-or-miss but nonetheless still effective, is through advertising. We all see adverts everyday in various forms, be those in the shape of banners on websites or social media or the more traditional paper or leaflet based advertising. I think it is fair to say that, nowadays, considering the cost of advertising in newspapers, is something that very few clubs can afford for the return you will experience. Just how many people nowadays actually ready the various local or free newspapers that come through our front doors on a week by week basis? Also your target audience is reduced by the sheer fact that not everybody reading a newspaper has an interest in joining their local football club! Whilst there is still some value to this channel of advertising, the cost to returns ratio just doesn’t offer enough value by my reckoning. A more direct advertising route is to place adverts in prominent locations where large numbers of potential footballers will pass through. Local universities or sixth form colleges will often have noticeboards around their sites where plenty of potential young budding footballers will be. Also consider adverts in local 5-a-side football centres and sports centres where, again, you have more guarantees of reaching the right target audience. One of the options that you are left with therefore is the world wide web more commonly referred to as the internet. What the internet provides you with is a whole host of websites which can provide a very cheap and effective way of advertising your grassroots, local football club to a wider audience. The beauty of this is that you can also target the right audience from the very outset and thus hopefully find that aspiring footballer who is looking for join a team just like yours. Social media has gone from strength to strength in recent years and is the centre point of modern communications in a day and age where people can access the internet from their finger tips on a mobile phone or tablet. It is scary sometimes just how much time some people spending updating their Facebook status, tweeting on Twitter or Snapchat-ing! So as a starting point, why not post a status saying that you are looking for players and ask your friends to share your post? It is completely free to do so and will instantly hit a whole heap of people who will see your message pop up. Better still, create a Facebook page for your club or a Twitter account and get networking with people. An online presense is now almost an essential tool for any grassroots football club and vastly becoming a key communication method with it's players. From experience there are also a number of websites which are useful for advertising for players. The most useful of those I have used has actually been Gumtree. It is completely free to list a basic advert and attracts a great number of visitors especially as it can be narrowed down to a local search also. It is also well recognised by search engines which means that people looking for clubs will find your very easily. Yes you may well attract the kind of footballers that you don't want but that is what pre-season is all about. Get them involved in training and see if you can pick up a gem! Local County FAs are also keen to increase participation levels and, at Essex County FA particularly, they offer a SquadBooster facility on their own website. You can complete a return a simple form that will get your club listed for all to see. They will also only be too happy to “retweet” any social media messages out to their many thousands of followers, all people involved in Essex football of course! To use this service, visit http://www.squadbooster.com. For our London FA affiliated clubs, a similar service has also been introduced last summer called the "LFA Playmaker" which assists with matching players with clubs and is completely free also. For more information on that service, visit http://www.lfaplaymaker.co.uk/. Another way to get yourself found is through your own league’s website. If you are somebody that has just moved into the area and are looking to join a team, they are likely to look at their local league website for teams they can make contact with. If your league offers a noticeboard facility (as indeed this one does!) why not spend a few moments to post a message on there. I think the days of football seasons finishing in April and only starting again in September are well and truly over for a number of reasons including the ever increasing number of games being lost to the weather each year. 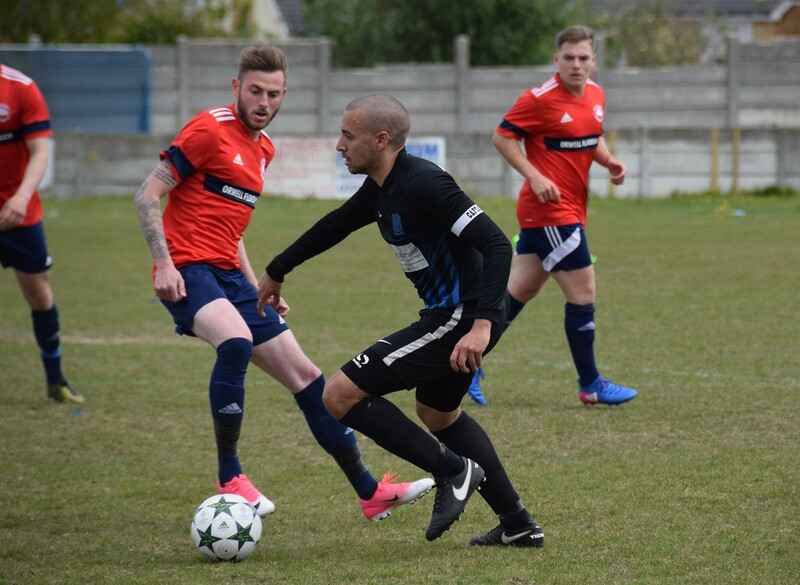 It is very noticeable how many clubs operate almost 12 months of the year with a combination of training sessions, friendly matches, tournaments and social events which mean you can keep everybody “ticking over” through the summer period. Generally, whilst there are obvious benefits of affording some rest for your players, if you are not going to have any events during the summer period, you are likely to see interest wane a little or worse, see some players head off to clubs who are still going and offering a fix of football in the quiet months. Also it is advisable to arrange trial events in order to see any new players who may be interested in joining but also to get registration forms and fees sorted early to prevent a headache later. Overall, there is no right or wrong way to run a club and, indeed, certainly no “one-size-fits-all” solution. Managers will know their players the best and what they want from their club experience. A little time spent on effective planning and preparation for next season will afford you the best chances of bagging some silverware when the end of next season comes around.